With just so many beautiful wildlife encounters over the last couple of weeks it’s hard to know where to start this Derawan dive report. Mind blowing sightings of Manta Rays, Whale sharks and Thresher sharks would have to be the highlight I suppose. But it would also be rude to ignore seeing over a 100 turtles on just one dive !? Below is a short video showing some of the marine life I encountered during my dives in and around Derawan island. Manta rays are one of the big draws of this area and Sangalaki island provided some magical encounters with one of my favourite marine animals. On one dive alone we saw over 40, but even when there were less, the reef fringing this island is very special. While I was there Lisa from Marine Mega Fauna was researching the Manta population around Sangalaki island. 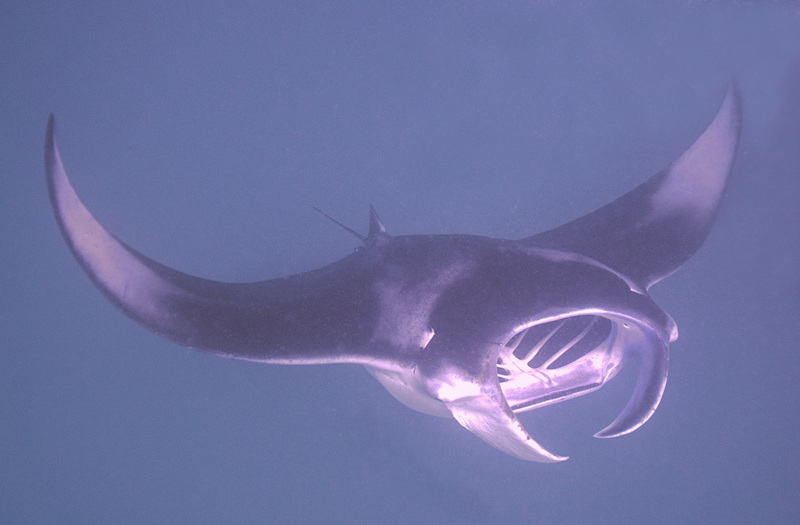 Each Manta Ray has a distinct pattern on its under belly and by photographing them and uploading the shots to Manta Matcher individual Mantas can be recorded. Before I left, Lisa had identified over 125 different Mantas which live in this area. This gorgeous uninhabited island is just over an hour away from Derawan and was utterly shark tastic. 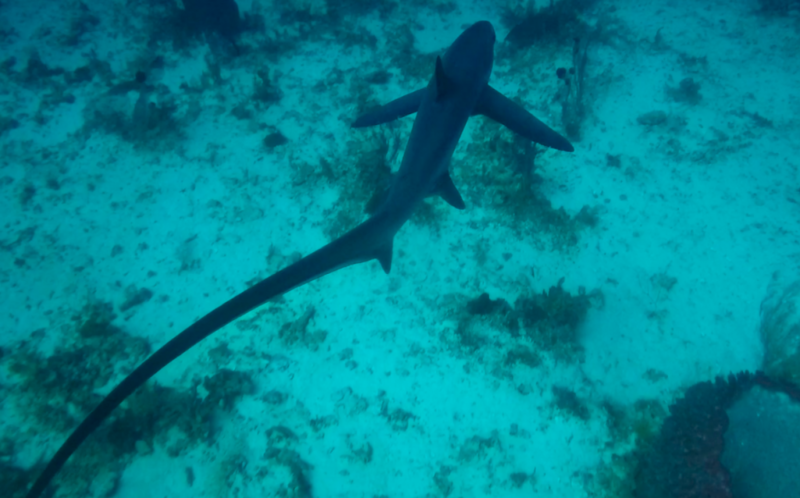 We had an amazing close encounter with Thresher sharks on the dive site known as Meditation Wall and also saw Nurse sharks and plenty of Black-tip and White-tips. The middle two thirds of Kakaban island is home to a lake where over a million jellyfish live. As they have no predators in the lake, they’ve evolved over thousands of years to lose their stings. Darwin would be proud I think ? Swimming in this lake surrounded by jellyfish has to be the ultimate way to spend your surface interval ! Not so far from Kakaban lies another island called Maratua which has a dive site called Turtle Run. The amount of turtles here was staggering with over a 100 seen on just one dive. Both Green and Hawksbill turtles live in these waters. For information on the difference between these two species there’s more detailed information here. These waters are rich in plankton so along with Manta Rays you stand a chance of seeing Whale Sharks here too. During my stay we took the gamble of a very early start to head to Talisayan which yielded an extraordinary encounter with these huge animals. 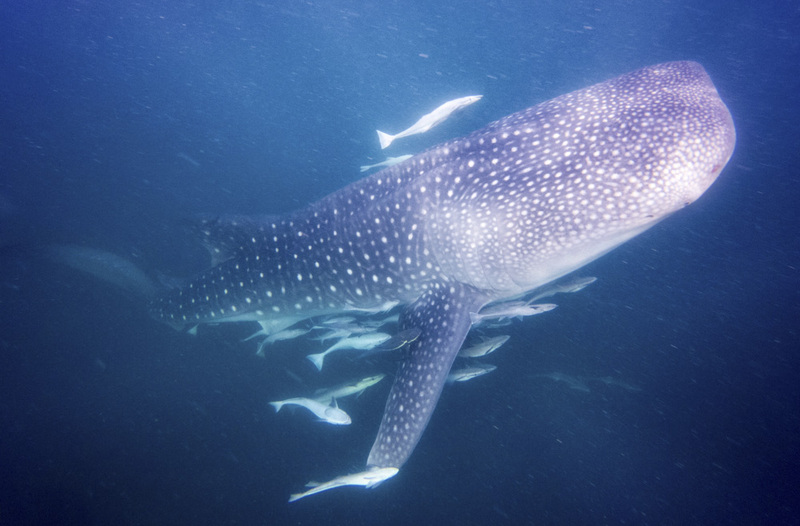 Four Whale Sharks circled around us for over an hour which was my best ever sighting of these beautiful creatures. As with Manta rays there’s a global database for Whale Sharks where you can up load your photos of these animals to contribute to the data used by marine biologists to analyze whale shark sightings and behaviour. 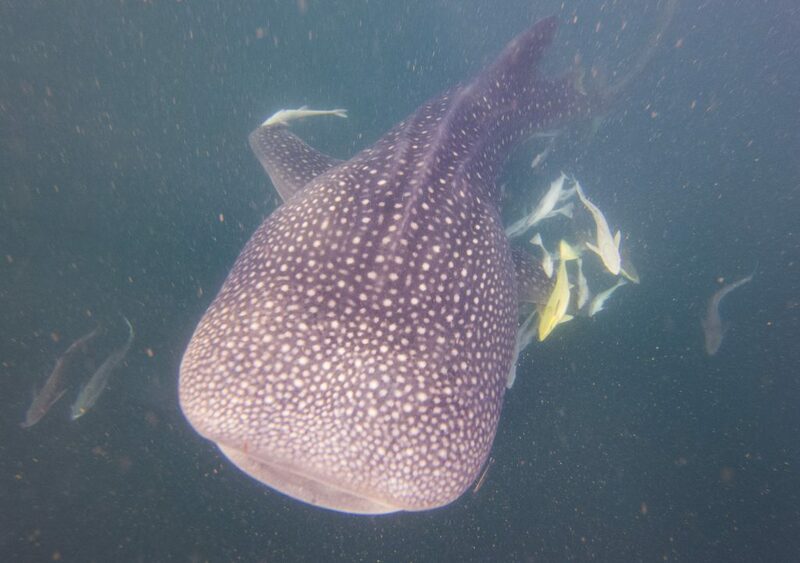 More info about the Whale Shark database is here. Derawan island itself has some pleasant dive sites which can be quite rewarding for macro creatures including Frog fish along with the ever present turtles that frequent these waters. I stayed and dived with Scuba Junkies which is a friendly good vibe place. Based on Derawan island they have lovely rooms perched on stilts over the water, where you’ll see turtles passing by from your veranda. They can arrange all transport to get you there from either Berau or Tarakan and are conveniently located within range of all of the great dive sites of this region.